Why Gemstones at Spirit Source Connect? Humankind has always been very drawn to the beauty of gemstones and has coveted them as some of the most sacred and precious materials of value on our Earth. They have been coveted by royalty and pirates alike, adorning crowns and filling treasure chests with the items of beauty the Earth has worked so hard to form. They are rare and extraordinary. They have been used to expel demons, attract wealth and symbolize the presence of divinity in so many cultures. Or, if you prefer to listen to this article, Click Play. In the audio file above, you will get a clear understanding of why not all gemstones are created equal, and how clarity, cut, color and carat weight DO matter if you're going to use them for therapeutic purposes. I specifically became a Graduate Gemologist so that I could bring to my clients 100% Genuine Gemstones that are the therapeutic grade needed to bring about transformation: Body, Mind and Spirit. 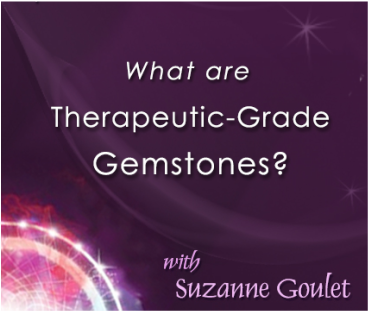 ﻿Once you understand that gemstones are a system of highly concentrated energetics, you will also understand how they can shift and transform anything that you may have going on in your body. Don't allow chronic conditions to stay with you forever... Now that you're here, allow a transformation to occur. See more Body Supporting gemstone necklaces HERE. Sometimes, nothing can be harder than trying to heal emotional hurts when you are having such a hard time accessing them. Nurturing your emotional body is one more exceptional aspects of gemstones, and when you choose the right ones for your emotional body, you will feel lighter, more at ease, and that your healing journey is on its way. Allow your transformation to occur, without you having to think about "how" too much. 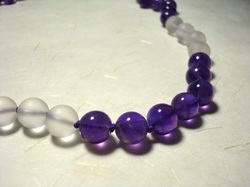 See gemstone necklaces supporting Emotional Transformation HERE. There's no better way to supporting opening your crown to receive Divine Higher Guidance than gemstones. Its practically what they were designed for! Each gemstone is as unique as any individual, and yet each one of them hold all of the information, knowledge and wisdom that has created the entire Universe. Don't be without these very powerful tools for your transformation. 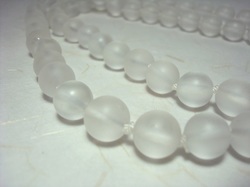 See gemstone necklaces for Spiritual Upliftment HERE. Some gemstones have the power and ability to support all of you: your body, mind, spirit and emotions. These gemstone work directly with your aura, and whatever area is in greatest need is where that stone will focus its energies for transformation. Then, it will gently move on to the next. This way, you experience overall shift and change in a balanced, acceptable way. 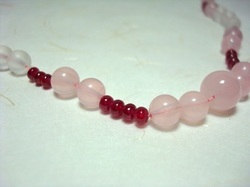 See all gemstone necklaces for Overall Influences HERE. See gemstone necklaces for Love & Relationship support HERE.